Our innovative initiatives push the boundaries to promote systemic change. Charter schools are instrumental in leading innovation in the education space, resulting in better outcomes for students from low-income and underserved backgrounds. Charter school educators have more freedom to innovate and tailor their pedagogy to the specific needs of their community. They can also serve as a source of high-quality jobs and renewed community vitality. For more than two decades, Capital Impact has advanced equitable access to education by supporting high-performing and reputable public charter schools in communities where the traditional public system is underperforming or failing. Charter schools continue to improve academic performance, with studies showing students surpassing those in traditional public schools in reading gains and keeping pace in math. Charter schools’ ability to innovate and direct resources toward specific needs and use customized teaching philosophies support that continued success. The freedom to innovate is critical to create long-term student impact. Effective charter schools lead when it comes to experimentation and creativity around organization, budgeting, scheduling, curriculum, and instruction. Schools that host health centers, promote healthy foods, and provide other services become true community pillars. 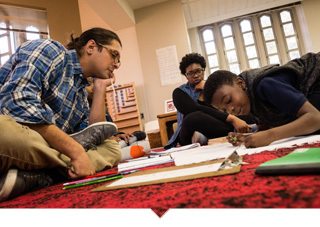 While diversity is positive in many ways, the struggle to educate large classrooms of children with varying language proficiency and socio-economic backgrounds is challenging. Poor families, black students and Hispanic English-language learners have been found to benefit from a charter school education. 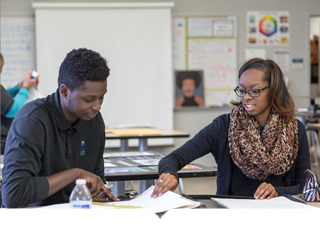 It is integral to our mission that all students have equitable access to a high-quality education. For more than two decades, we have delivered both the capital and commitment to support and grow strong charter schools across the country. 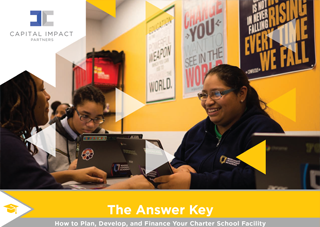 According to the 2014 Charter School Facility Finance Landscape report, we are the leading Community Financial Development Institution (CDFI) in delivering capital to help finance the building and expansion of high-performing charter schools. In addition, we support capacity building and partnerships to bring about systemic change in our educational system. We provide charter school operators step-by-step assistance in planning, evaluating, and implementing facilities development projects, including the creation of practical tools for assessments, budgeting, and balance sheets. This includes our “Answer Key,” a simple how-to guide designed to help navigate the school construction process. 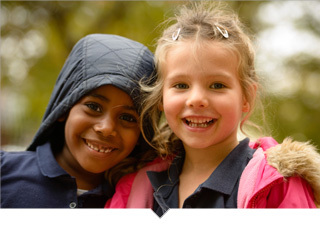 We understand that no two charter schools have the same needs. Our loan officers have expertise in setting up a wide variety of financing for small schools, larger education networks, and charter management organizations. 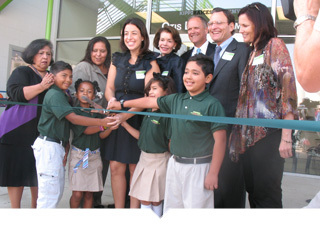 We also embrace innovative approaches, such as schools that host health centers or healthy food retailers. As an active member of a variety of charter school coalitions and associations, we are working in partnership with industry leaders to advance policy change, spread innovative best practices, and support surrounding communities – all critical to the development of successful, well-managed schools. 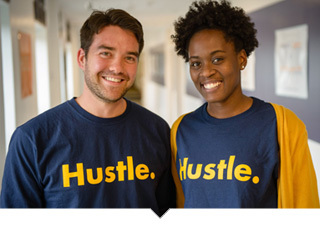 Deploying strategic capital, structuring complicated transactions, and delivering capacity building to support charter schools in low-income communities creates real change that can last for decades as students grow up, graduate and thrive. We are proud to highlight some of the most innovative education institutions we partner with across the country who are making this happen. Since he was a young boy growing up on Detroit’s east side, Devon loved to spend time with paper, pencils, and his imagination. Finding a school to nurture those interests was difficult. 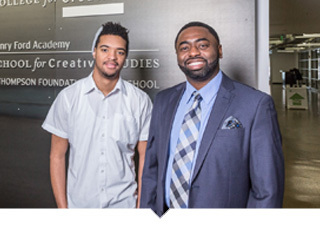 When his mother discovered the Henry Ford Academy: School for Creative Studies (HFA), he felt like he had discovered a new world. When Malka talks about removing boulders, images of a quarry may fill your mind. But in reality, it’s the barriers to college that this tireless Executive Director is attempting to remove from the path of her elementary school students in the low-income community of Pico-Union in central Los Angeles. See how she inspires her kids. It is not often that teachers can find affordable housing near their schools in large cities like Washington, D.C. But in this innovative approach, that housing is being provided on the actual campus, which is also home to a charter high school and Montessori elementary school. Charter school financing is changing the way education is delivered. Watch this short video to see how Capital Impact Partners is creating impact for our next generation to help them reach their highest potential. We track and measure transformation in and among the communities we support. This ensures that the investment of capital and capability translates into real, sustainable change. Ultimately, it helps those who live, grow up and grow old in these communities thrive.